The one full size i purchased is the bottle in the middle called: "Night Life"
Clearer view of all the micro glitters in this polish. 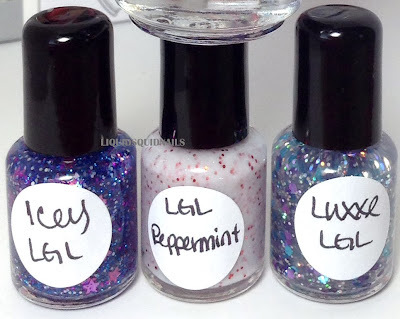 I will have another post soon enough, on how this glitter polish looks swatched with other base coats. 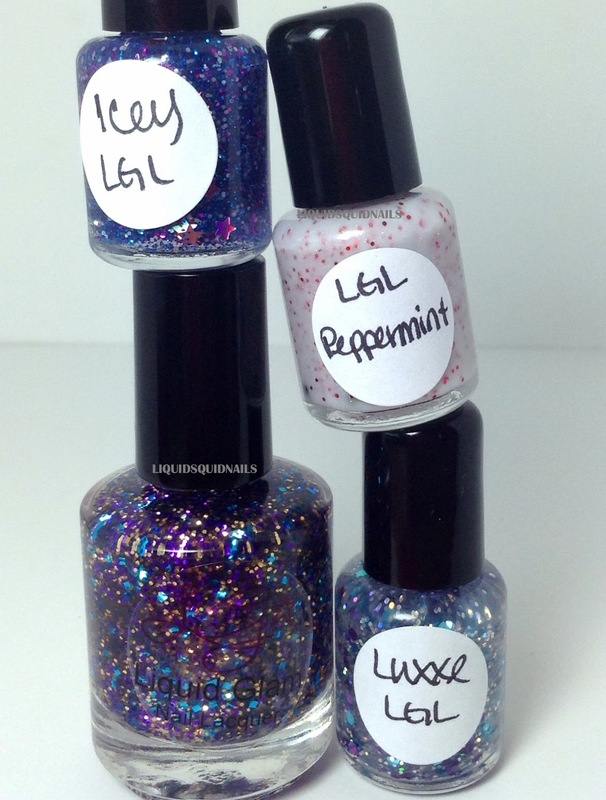 Last but sure not least is the darling Liquid Glam Laqcuer polish in: peppermint!! I simply adore this polish beyond words!! It is the most beautiful, elegant, simple, yet wintery polish i have tried so far. I love it so much, i painted all 10 fingers that color. 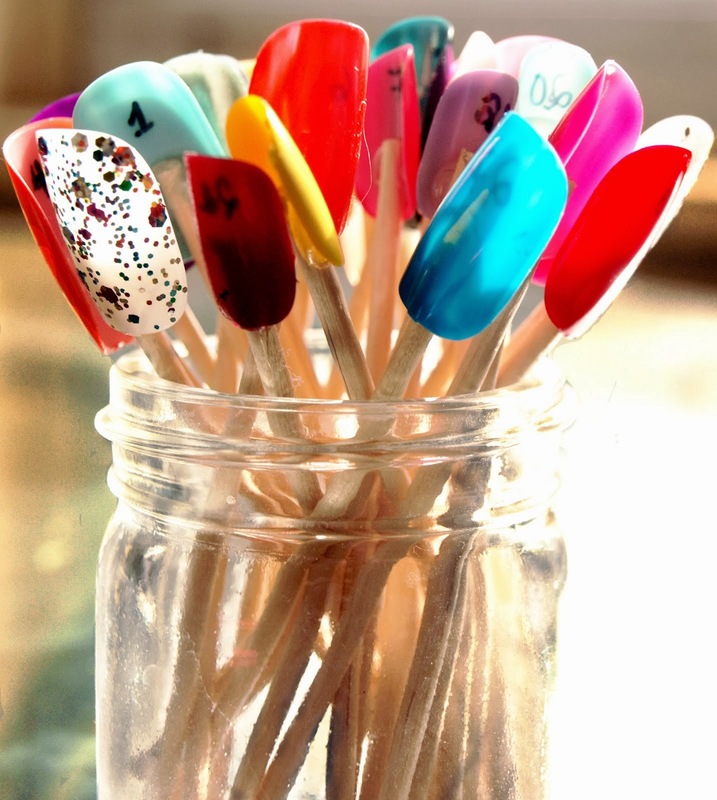 And as you know from my other posts and instagrams, i tend to do alot of nail art typically using various colors. But this "peppermint" polish is so stunning I applied it on all 10 FINGERS. No competition necessary :) I remember just staring at my nails all the time.... he he he. Have you tried Liquid Glam Lacquer polishes? Which one would you like to see a swatch of? PLEASE, PLEASE, COMMENT. I do wish to hear from all of you who stop by.